Our Ergo Form™ Grips with integrated pause/stop and resistance controls to enhance comfort and make it easier to make workout changes on the fly. Our exclusive Sweat Management System was designed to track sweat away from the user and critical components – prolonging the life of the product. Sweat Management System tracks sweat away from the user and critical components – prolonging the life of the product. Ergo Form grips with integrated pause/stop and resistance controls enhance user comfort and make it easier to perform workout changes on the fly. Step Depth: 25.4 cm / 10"
Step Height: 20.31 cm / 8"
Assembled Dimensions: 165 x 85 x 212 cm / 65" x 33.5" x 83.5"
Max User Weight: 182 kg / 400 lbs. Assembled Weight: 158 kg / 348 lbs. Shipping Weight: 167 kg / 368 lbs. Our Ergo Form grips with integrated pause/stop and resistance controls to enhance comfort and make it easier to make workout changes on the fly. Reach peak aerobic and anaerobic conditioning faster than ever before with Jacobs Ladder 2. Jacobs Ladder 2 brings the same great workout as the original Jacobs Ladder but in a slightly more compact size and price point. Specifically, the base width has been narrowed from 31.25″ to 27.25″ so it can now fit through most doorways. The Self-Powered Electronics features have been removed and replaced with a more traditional wall plug to power it's display and the Maple Rungs have been changed to Steel Rungs with Polyurethane Sleeves. But that’s where the differences end. With the Jacobs Ladder 2 cardio machine you’ll get the same great workout, with the same rock solid reliability, leading to the same awesome results you want. The Jacobs Ladder Original and Jacobs Ladder 2 provide the most efficient exercise for those serious about conditioning. 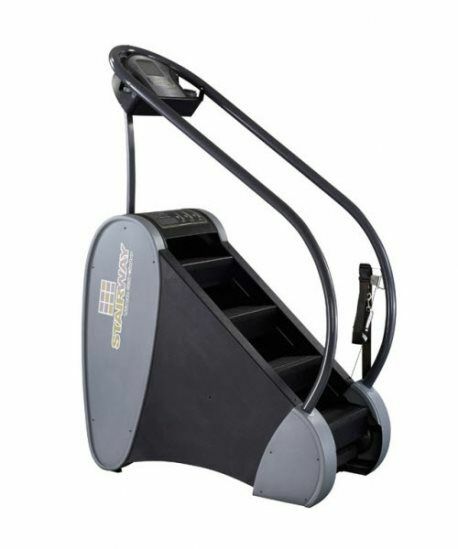 Unlike most cardio machines, this patented treadmill climber utilizes low impact, high range of motion exercise to provide a superior cardio workout to both the upper and lower body. The Ladders are innovative cardio machines with ladder-type rungs that you step on while it moves. It's a non-motorized continuous treadmill, that's self-paced, so the faster you go, the faster it goes. Jacobs Ladder is preferred by pro football teams, the FBI, the Army, the Navy, West Point and numerous Division I universities to improve their strength and conditioning programs. Digital console gives feedback on elapsed time, how many feet you climbed, rate of your speed, and calories burnt. Self-Powered so the ladder itself doesn’t need to be plugged into the outlet. However, the display will need to be plugged into an electrical outlet. 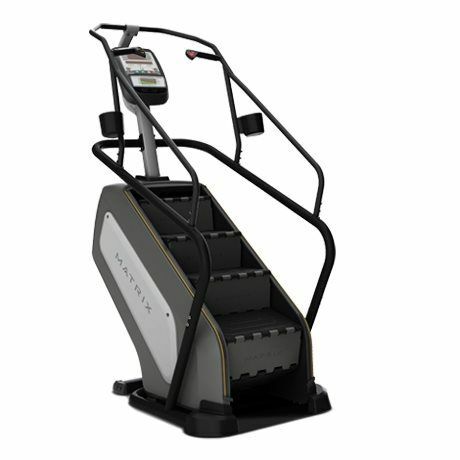 The Jacobs Ladder Stairway is a stair climbing cardio machine designed specifically for the commercial environment. The unique design offers a rotating staircase where the speed of the stairs is controlled by the tension of the waist belt (which is identical to Jacobs Ladder). The higher you go, the faster the stairs come, so you are always in control of your speed. The Jacobs Ladder Stairway is self-powered so there is no need for a wall plug. The ceiling height requirement is 8.5 feet and the width is 30.5", so you can place it where most stair climbers won't fit. The display gives Stairs Climbed, Rate (steps/min), Elapsed Time, Calorie Burn and Heart Rate (with wireless strap). Initial step height of 11" is among the lowest on the market. The Jacobs Ladder Stairway is the Ultimate Stair Climber! 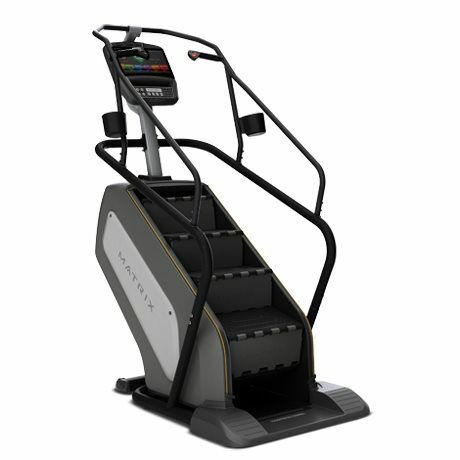 Jacobs Ladder Stairway has many innovative features that no other cardio machine has to offer. 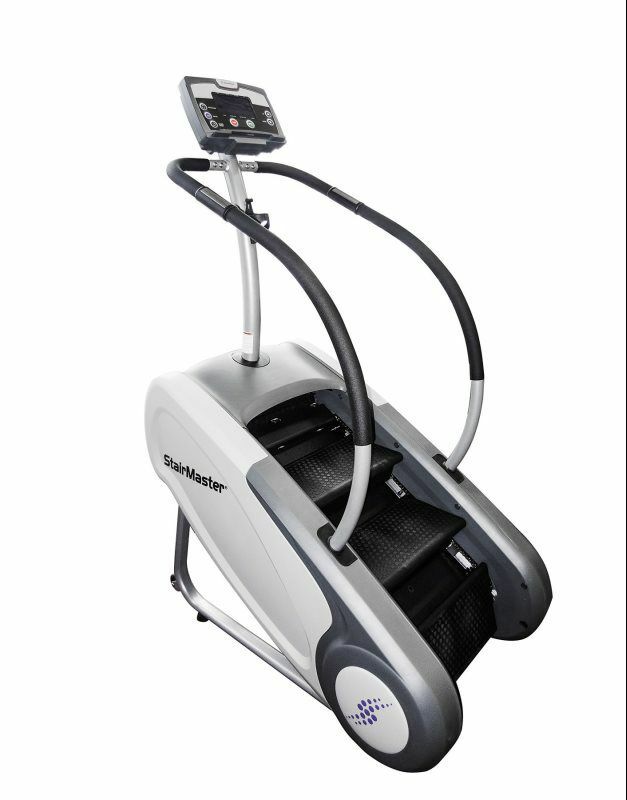 Unlike many other cardio machines, Jacobs Ladder was engineered to provide the user with physiological benefits which makes it the perfect piece of equipment for anyone. Since 1983, StairMaster® has been a legendary name in the gym, delivering a real workout and real results. Now, with the StepMill™ 3, we’re bringing it all home. The StepMill 3 gives you a full cardiovascular and strength workout in one, and a compact, lightweight design makes it perfect for home gyms, apartments, medical offices and corporate fitness centers. It’s the tough, effective workout you’ve come to expect from the original name in climbing fitness in a size that fits your needs. The StepMill 3 comes standard with a large backlit LCD display console pre-programmed with over 25 motivating workout combinations – from easy to challenging – to help keep routines fresh. It allows you to track your activity, providing feedback including total workout time, calories burned, Watts produced and, of course, floors climbed. Contact heart rate sensors on the handrails, and the included Polar® chest strap sensor, allow you to continuously monitor your heart rate for optimal results. 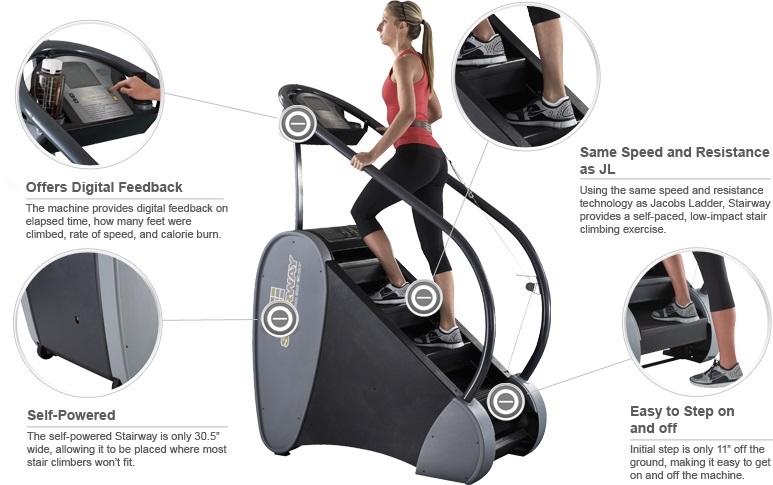 A StepMill is the only one of a few devices that can mimick actual stair climbing motions with an escalator-style platform. Using the StepMill regularly will bring a dramatic increase in strength to the lower body. The high-rep step workout will tone and help build the major muscles of the lower body, such as calves, glutes, hamstrings and quadriceps, while at the same time, burning a great deal of calories, which will enhance fat-loss dramatically. It's one of the best cardiovascular workouts you can do. 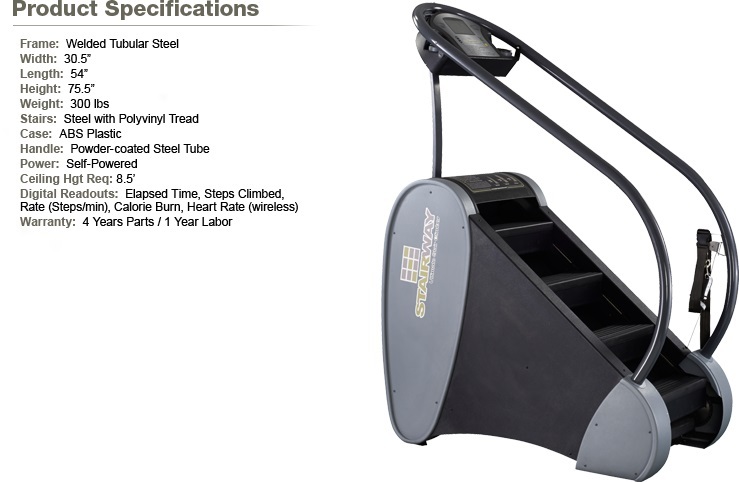 The StepMill also comes with advanced options that allow you to climb steps backwards or laterally. For the ultimate challenge, you can add weights strapped to your back. Your endurance will be improve consistently every time you increase the level of speed and resistance. Lifetime warranty on Frame, 5 years Mechanical, 2 Years Electronics, 1 year Labour. Beginning with the first stepping machine in 1983, StairMaster® has been a legendary name in the gym. Today the tradition continues with the Gauntlet®. 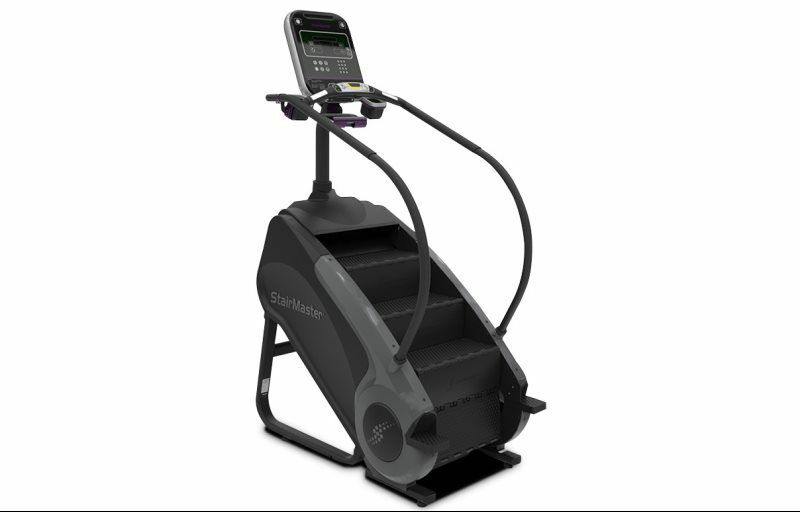 Building on 30 years of experience and proven performance, the Gauntlet 8 series stepmill provides a superior combination of cardio and strength training in our most comfortable design ever. The machine features a deeper, wider step surface with durable, rust-free polypropylene construction and a range of console and accessory options. It's a combination of quality and innovation delivering a workout that's head and shoulders above anything else in the gym. 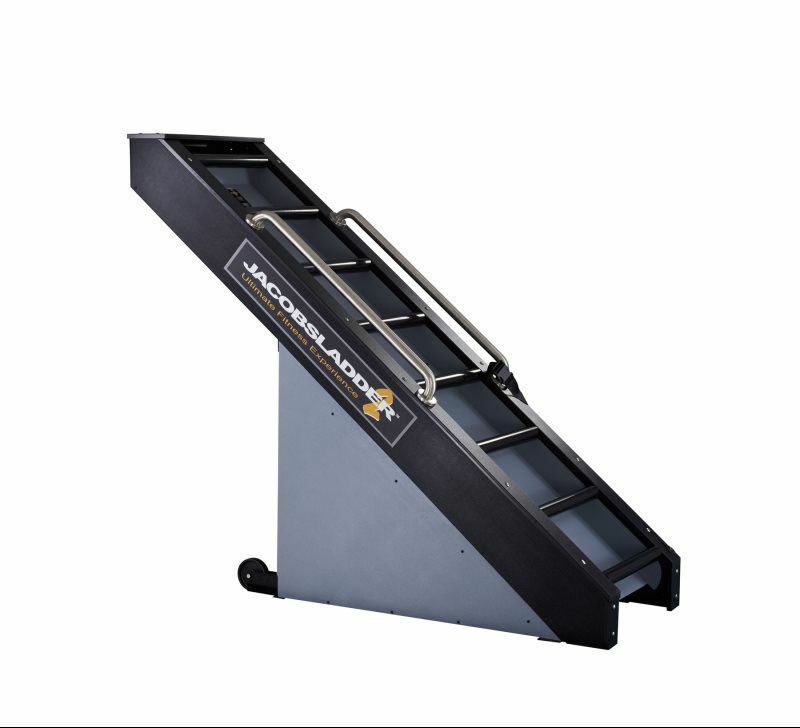 A Stepmill is the only one of a few devices that can mimick actual stair climbing motions with an escalator-style platform. Using the Gauntlet regularly will bring a dramatic increase in strength to the lower body. The high-rep step workout will tone and help build the major muscles of the lower body, such as calves, glutes, hamstrings and quadriceps, while at the same time, burning a great deal of calories, which will enhance fat-loss dramatically. It's one of the best cardiovascular workouts you can do. The Gauntlet also comes with advanced options that allow you to climb steps backwards or laterally. For the ultimate challenge, you can add weights strapped to your back. Your endurance will be improve consistently every time you increase the level of speed and resistance. Workouts: The Landmark Challenge Program where users climb well-known landmarks from around the world like the Eiffel Tower, the Statue of Liberty and the Taj Mahal. Sprint, Super and Beast Spartan Race Training Program. Standard console programs are also included.